Today we preach a gospel that says our sin separates us from God…. and that only those not in sin have a relationship or fellowship with God. We categorize believers as those not in sin and unbelievers as those still in sin. The problem with that is that there are plenty of believers who sin just like there are unbelievers who do not sin, who live pretty moral, upright lives. But Paul preached a Gospel that wasn’t based on our actions but rather on the finished work of Christ. He preached a Gospel that proclaimed that all mankind had been reconciled back to God regardless of their right or wrong actions. We were reconciled back to God not because of anything we believed, or anything we did. But only because God desired us… desired to be reconciled to us. So He was in Christ on the Cross and reconciled ALL men back to Himself. 2 Corinthians 5:19 also says He didn’t impute their sins against them. Actually, it says trespasses. Trespasses in the Greek is paraptóma and means to fall away after being close beside; a lapse from the truth, a slip-up, an error; sin; wrongdoing that can be unconscious or intentional. He reconciled ALL men without considering their sins… those that were willful and those that were just slip-ups or mistakes. Romans 5:10 says God did this reconciliation while we were enemies. An enemy is someone with a deep-seated hatred for another! Romans 5:8 says this is how God demonstrated His love for us, He did it while we were sinners. 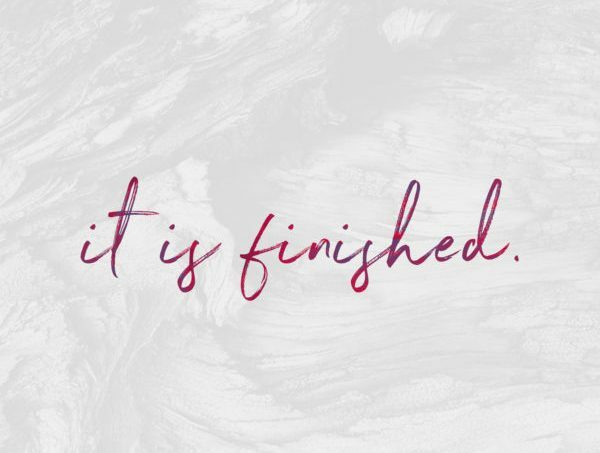 No repentance or confession required on our part….. it was totally His doing. It says this all happened while we were weak and ungodly (verse 6)… while we were sinners (verse 8). HE reconciled us…. restored us back to friendship with Him, settled and resolved the differences we had with Him, changed us from an enemy to a friend and admitted us into His community of love. He did that while we (all mankind) had a deep-seated hatred for Him, while we were powerless, ungodly, and sinners. That verse in the Greek says “Moreover (on top of all that)… talking about v. 17, which we’ll have to save for another post! Moreover, ALL are of God who reconciled us to Himself! It doesn’t say “all things.” It says ALL are of God! I love that. He reconciled ALL mankind to Himself on the Cross and that same mankind is His! They are the ALL that is of God. They belong to Him…. believers, unbelievers, sinners, non-sinners…. ALL are of God! That doesn’t sound like separation to me! And He did ALL of this on His own without requiring believing, faith, repentance, confession, a “sinner’s prayer,” etc. It was simply to demonstrate His love for us. His relentless, passionate, pursuing covenant love…. His chesed! To demonstrate His resolve to never let go of us, no matter how far we had gone. No matter how alienated we had become in our own minds toward Him (Col 1:21)! So, if that’s Truth… if that’s the Gospel, where did we get the wrong idea of separation from God? That God was too holy to have a relationship with us when we sin? This concept of separation from God uses the verse Isaiah 59:2: But your iniquities have separated between you and your God, and your sins have hid his face from you, that he will not hear. This verse doesn’t say God has hidden His face from you and can’t hear you because of your sin. But for years that’s what I thought it said! I pictured God with His fingers in His ears and turning His head away from me….. because of sin. How sad! That must grieve God when we think about Him like that. Let’s read it Isaiah 59:2 in context….. Thank God for verse 1! What a beautiful description of God… His hand is not so short that it cannot save! And His ear is not so heavy (so burdened or dull) that it can’t hear! That’s our Daddy!! Always reaching towards us… always listening to us! Yes, sin caused a separation, a hiding of God’s face, an inability to hear. But it wasn’t on God’s part… it was on man’s. Sin consciousness causes men to see and hear God through a lens of condemnation and judgment. It wasn’t God who was in hiding, it was Adam. In Genesis 3 Adam sinned but God did not turn His face from Adam, nor was He unable or unwilling to hear Adam. In fact, He showed up ready to fellowship with him just like always. He didn’t hide His face and plug His ears because of Adam’s sin…. He listens and talks with him. It was Adam who hid. God came looking for him. Genesis 3:8 says, “And they heard (shema) the sound of the LORD God walking in the garden in the cool of the day, and the man and his wife hid themselves from the presence of the LORD God among the trees of the garden.” They hid from His face, from His presence. Hid in Hebrew is chaba and means to withdraw; conceal. Adam withdrew from God’s face. Sin consciousness concealed God’s face. The word we translate obey is shema in Hebrew and means hearing with understanding, attention, and with a response. God didn’t close His ears to Adam. Sin consciousness closed Adam’s ears to God… he could no longer hear with understanding. His hearing became dull and heavy…. burdened by sin. This is not a picture of an angry God who is looking for Adam so that he can punish his “disobedience.” This is not judgmental, condemning God who is hiding His face and closing His ears to His son. This first look at sin for us is a picture of a caring Father. One who is full of grief that His son left His heart. A son who can no longer see and hear Him. Adam, because of his sin, can no longer see God accurately. Sin consciousness has hidden God’s face from him. It is not God that is hiding from Adam because He’s too holy to look on sin! Adam’s sin has hidden from Adam who God is. Hidden his true nature from him. He now sees God through a warped identity, through the lens of sin, guilt, judgment, and condemnation. Instead of seeing God as a loving Father, he sees Him as judgmental and condemning. And it’s not God that refuses or can’t hear but it’s Adam that has a hearing problem. Oh, he still hears God, but not accurately and not by the Spirit. Now he hears Him through sin. Instead of love and affirmation, he hears guilt and condemnation… he hears judgment. Adam became a man with an identity problem…. no longer seeing himself as a son. No longer seeing himself as loved and accepted. Instead, seeing himself separated from God. Isaiah is not saying that God is separated from man… turning His face and plugging His ears because He is too holy to look at a sinful man. He is saying that God is displeased with the whole situation that sin has caused. And what does Isaiah tell us that God does in response to man’s sin? He doesn’t reject or abandon us. He doesn’t separate Himself from us! We must keep reading and not just stop at verse two and form a wrong opinion about God. According to Isaiah, God springs into action. He initiates a saving act whereby he rolls up his sleeves and comes to us Himself through his Son. Through the beautiful incarnation of Jesus!! And then he tells us that those who turn to God will find that He was ALREADY for them and toward them! In other words, our repentance does not cause God to come, but rather, God’s grace precedes and even generates our repentance. Isn’t that what Paul said in Romans 2:4? That it’s God’s goodness (His covenant love for us – chesed!) causes men to repent, NOT men’s repentance causes God to be good! He’s ALWAYS good… good is just who He is. This is how the New Covenant (announced in Isaiah, Jeremiah, Hosea and elsewhere) works. Grace to His children who in their sin can no longer see Him for who He is or hear Him. Thinking He has hidden His face and closed His ears to them!